Catie and Jay Married at South Lodge in Horsham, East Sussex on a beautiful early autumn day. 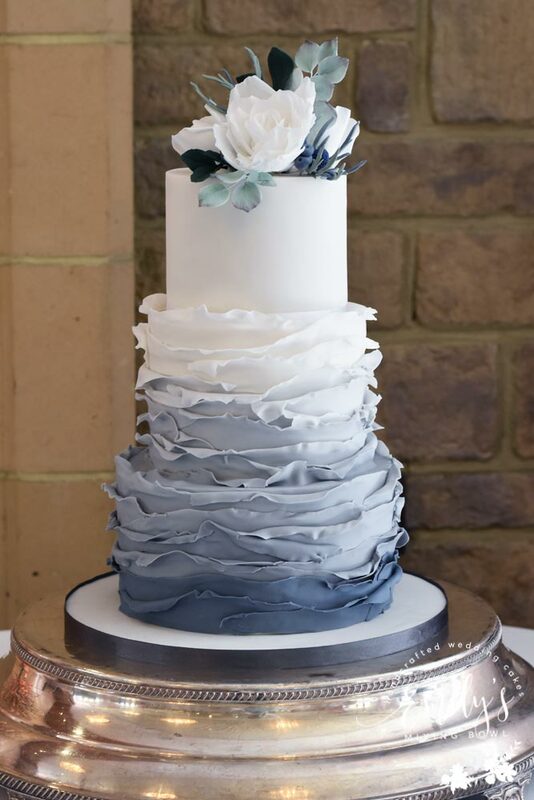 They had this 3 tier grey ombre ruffle cake with a plain top tier finished with a sugar flower arrangement to match Catie’s bouquet. I also made 80 macaron favours to match their theme which were put out on the tables for their guests.